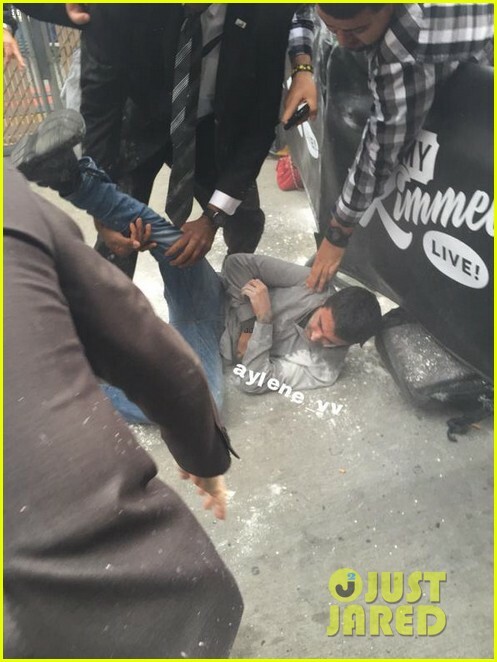 Adam Levine gets quite the surprise as someone throws flour all over him outside the El Capitan Theatre ahead of his appearance on Jimmy Kimmel Live on Wednesday evening (May 6) in Hollywood. 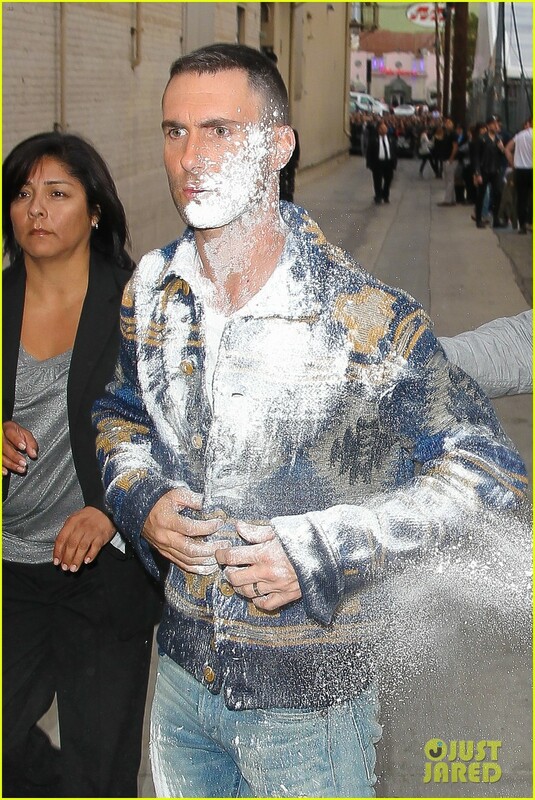 The 36-year-old Maroon 5 front man was signing autographs for fans when someone in the crowd hit him in the face with the bag of flour. The guy was then arrested for battery. Adam has yet to address the incident on social media, but we’ll see if he mentions it during tonight’s interview. Que edad tiene Adam? se ve como viejo no? el que le tiró harina es mi heroe. Su música da asco. El artículo dice que tiene 36. 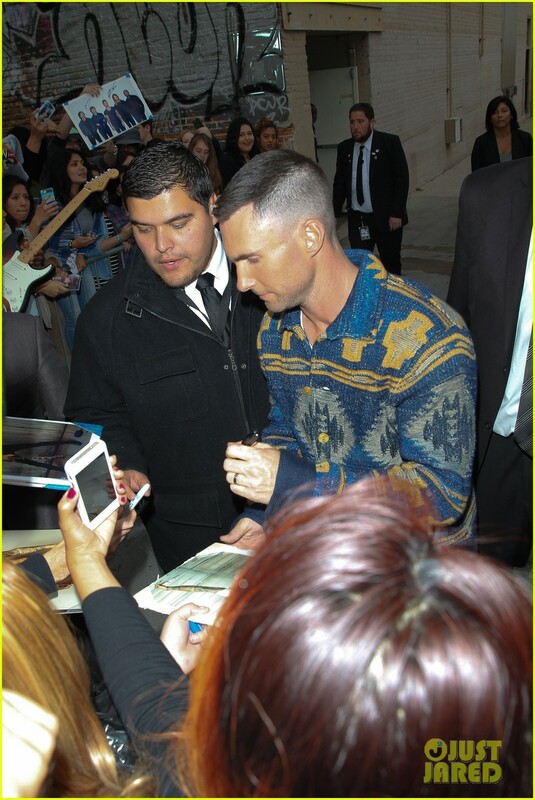 La cara de arrecho de Adam no fue normal, y cuando lanza la chaqueta al piso con aquella prepotencia. Pero ajaá, lo entiendo totalmente. Eso no se hace. 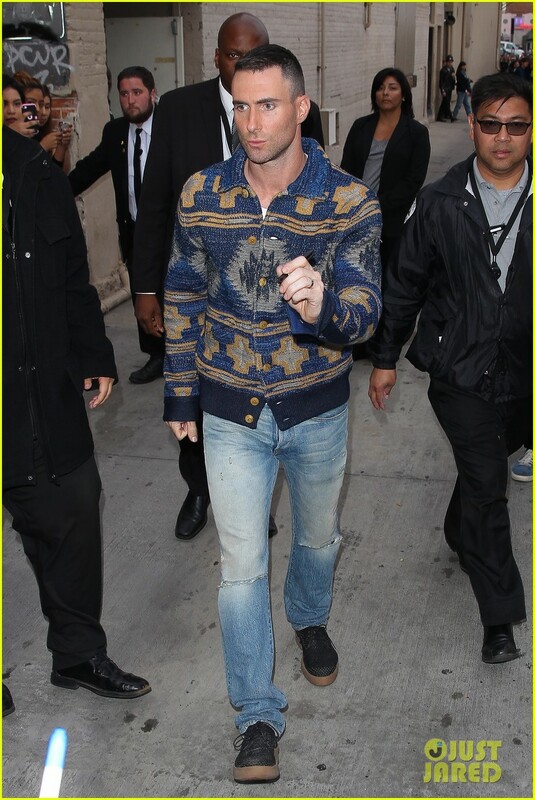 Tema: Re: Adam Levine bombardeado con harina!